Walt Disney World has always been everyone’s go to place, to visit and meet with their beloved animation or movie characters. But on May 27th, 2017, Walt Disney World Florida just opened their newest attraction at Disney’s Animal Kingdom theme park. 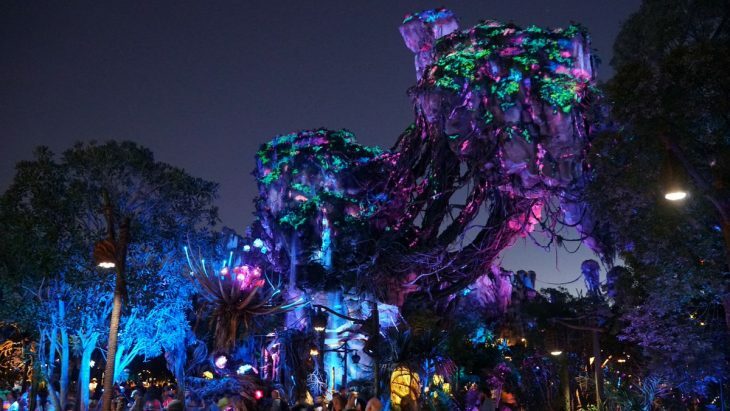 The newest addition is named Pandora – The World of Avatar and yes, here you get to visit the moon of Pandora, the land the Na’vi people from the James Cameron’s film Avatar. Just get your tickets online and indulge in the various adventures and experiences this new world has in store for you. 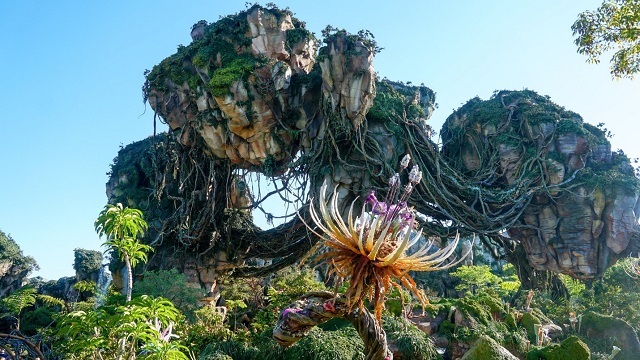 According to Disney’s own representative’s word, the land and landscape of this new world called Pandora embodies the role of an actor. There are no actors dressed in blue to pull you into this world and make it believable. Instead, it is the role of the world itself, to make you feel like you have entered into a completely new and extraordinary realm. At Pandora’s entrance, a sign welcomes you to the Valley of Mo’Ara and provides a map. The landscape is filled with bioluminescent Pandoran flora, beautiful waterfalls, mountainous terrain and flowing streams. However, the piece de resistance of the landscape is a 156 feet all floating mountain, which truly gives this place an other-worldly look. There are two main rides in this world of Pandora. Albeit the signs of these rides aren’t really visible to keep up with the immersive nature of the land, the rides themselves do not fall short in any way. The rides you can experience in this world are truly memorable and offer an experience like no other. First of the two rides called Na’vi River Journey, is a traditional ‘dark ride’ of Disney amusement parks. You go on a restful and calm boat journey through a river. During your ride, you see colourful glowing plants, moving shadows of lizards over your head. An animatronic Shaman of Song sings a beautiful tune as you continue on your path and emerge at the end of the ride. The second ride is vastly different than the first one. 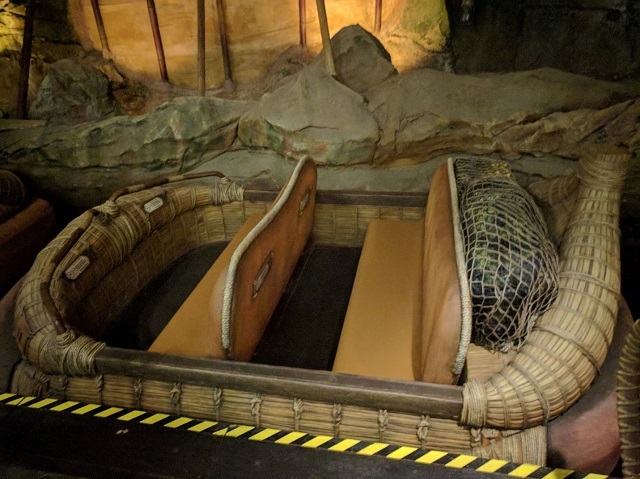 This ride called the Avatar Flight of Passage is a 3D simulator ride. You will get to revisit and go through some of the movie’s most stunning landscapes on this ride. You’ll also get to see a full sized Na’vi floating in a chamber when you visit the science lab which is a part of this ride. After that, you’ll have to board some scooter-like vehicles, put on some 3D glasses and fly through flocks of banshees, past a rushing waterfall, through some dense forests and caves. Last but not the least, one of the main attraction of this new attraction at Disney’s Animal Kingdom is the food you can taste at Satu’li Canteen. You’ll get to sample some of the most innovating other-worldly dishes that the chefs of this place have managed to create. The restaurant is decorated with Na’vi art and cultural items. Treat yourself to a popular Na’vi drink Pongu Pongu, or indulge in a rather futuristic looking cheesecake. Pandora – The World of Avatar will continue to amuse you through every possible way. 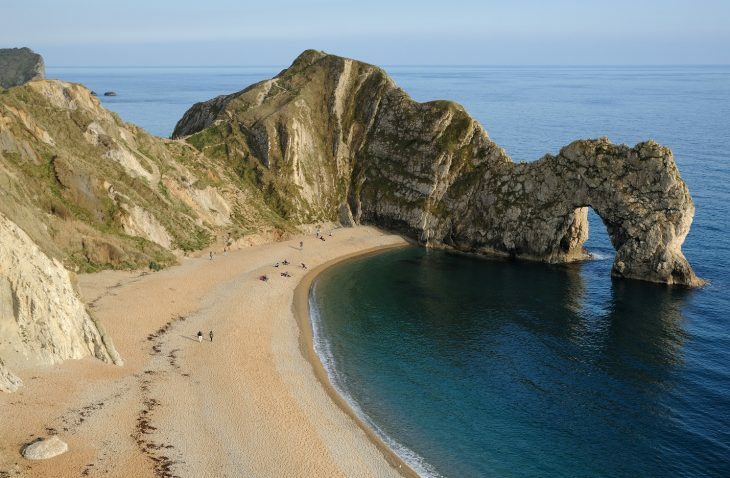 Situated on the English Channel coast, the Southwestern English country of Dorset is famous among travellers for its beautiful coastlines, strikingly beautiful landscapes and its food. From farmer’s markets full of locally grown fruit and vegetables to an amazing array of seafood, Dorset is rich with some of the best produces in the world. Food is a really important part of this country, which makes it one of the best places to go for a food trip in England. Just find a nice Dorset holiday cottage to stay during your trip and head out to taste the classic newspaper full of English fish ‘n chips, the beloved Dorset cheese or some delectable modern western cuisine. You’ll be spoilt for choices when it comes to food in Dorset, and here’s a list of three restaurants in Dorset to have the ultimate gastronomical experience. Located just below the shingle bank at the Portland end of Chesil Beach; The Bluefish Café & Restaurant offers a really extravagant menu and unique dishes that make it one of the must visit restaurants during your Dorset food trip. Run by a young and enthusiastic French chef, this restaurant uses blue cheese, prunes, squid inks, chorizo and many more varied ingredients to provide you with overwhelming culinary experience. Some of the brilliant dishes which you should try from this restaurant are braised pig cheeks with beetroot and gherkins, poached sea bass with local faggots and serrano ham, and also the scallops with black pudding and orange butter sauce. They also have one of the best and biggest moules frites you’ll ever get to eat. Weymouth is most famous for the Jurassic Coastline and Olympics, but for the foodies among us, the true beauty of this place lies in the harbour area. The area is bejewelled with fresh produces bought up from the sea all the time, and you can buy and have some the freshest, most delicious seafood in this area. In fact, there are so much seafood in this area that suggesting only one restaurant here is not possible for any respectable food lover. Visit the Marlboro Restaurant to have one of the best fish ‘n chips you’ll have in your life. 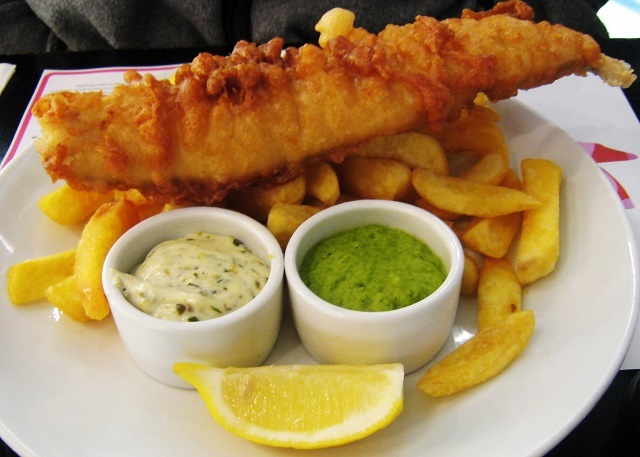 The batter-fried haddock and chips or mackerel bap is the standout dishes which you must try from their menu. After you have finished eating here, visit the nearby Weyfish fishmongers and get a bag of freshly caught Weymouth Bay prawns, boiled and served in their shell. The local whelks soaked in malt vinegar, or pickled Portland crabs are also some of the things which you should try here. Snack on and walk around the harbour watching the streets bustling with fishermen and dredgers bringing in fresh produce. Owned by the famous gastronomy-magician Mark Hix, this small yet insanely beautiful restaurant offers one of the most brilliant experience of dining in Dorset. 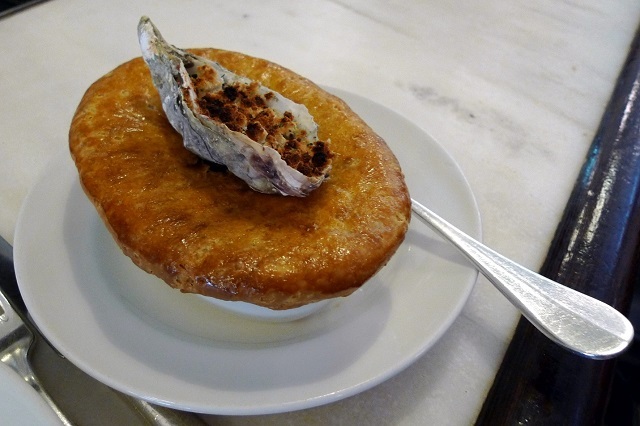 Hix Oyster & Fish House takes pride on serving the freshest and the best produce in a really simple style. You can taste some of the most brilliant dishes you can find in Dorset while enjoying some beautiful coastal views. The simple grilled fish on the bone or the varieties of oysters that you find in this restaurant truly make a memorable meal. They also hosts and organises various food festivals which you must visit if you get the chance. The beautiful ambience, the excellent views and the soulful, simple yet extraordinary dishes truly makes Hix Oyster & Fish House the must-try restaurant while you are in Dorset. Covered in rainforests, known for rich biodiversity, and featuring both Pacific and Caribbean coastlines, Costa Rica is an exotic Central American getaway. The international airport in San José makes the country more accessible than many other Caribbean and Central American destinations, and if you’re curious about the region it might just be the perfect place to start your trip. Here are five of the best things to do while you’re there. 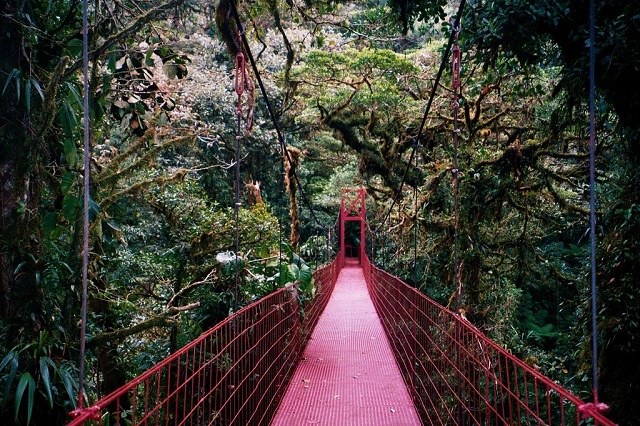 Much of the natural beauty of Costa Rica is tied to its rich rainforests. But visiting the gold coast, on the northern end of the Pacific side of the country, you’ll find a drier and more diverse area. There are small villages, gorgeous white sand beaches, volcanoes on the horizon, and national parks in close proximity. Other than simply hanging out on the beaches, the main attraction is Rincon de la Vieja National Park, which is known for its nine volcanic craters. It’s generally safe to visit, though one travel site cautions that this collection of peaks are the most active in the region! 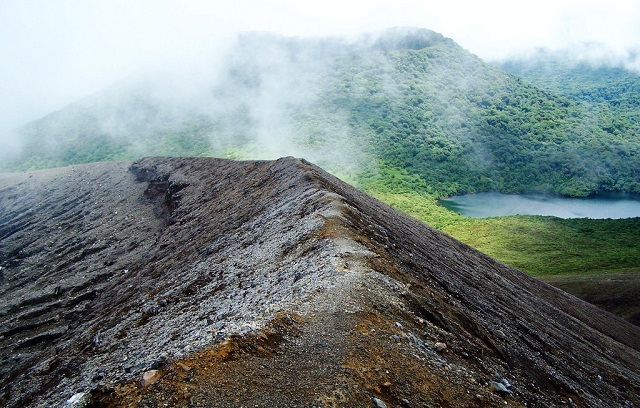 This is a massive natural reserve that showcases what makes Costa Rica so unique even among Caribbean destinations. It’s a lush, misty rainforest absolutely packed with wildlife and featuring numerous excellent hikes for travellers. Walking through the forest on ground level is fun, but the hanging bridges offer the more unique experiences, as you’re practically able to walk among the trees, looking around you at exotic birds and perhaps down below at other fascinating wildlife. Most of the noteworthy attractions in this country are tied to nature – but this is the one that will likely stand above the rest in your memory years later. Costa Rica has turned itself into a very strong football nation in recent years. It was a fun team at the 2014 World Cup, winning its group and advancing to the quarter-finals, and earlier this year it was tabbed by betting experts as a side with a genuine chance to win the Gold Cup (though the U.S. wound up capturing that title). 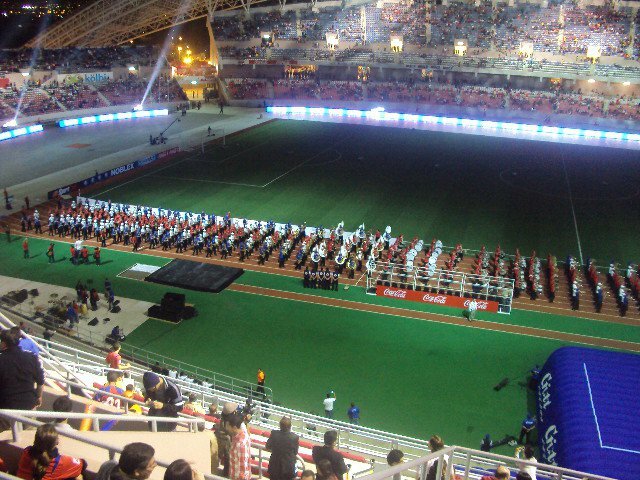 Throw in the fact that the national team stadium in San José, Estadio Nacional de Costa Rica, is the nicest and most modern sporting venue in Central America, and catching a match is a must. You’ll have a good time even if you’re not a major football fan. This is something else to fit in while you’re in San José (hopefully taking in a football match!). It’s a small museum, but a fascinating one, and one very closely related to the region. You’ll be able to browse well over 1,000 golden artifacts that predate the Age of Exploration and even provide some idea of what must have fascinated European explorers so much when they first ventured into the New World. 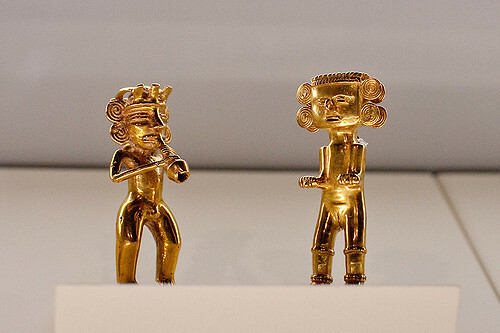 You’ll also learn a little bit about the history of gold, which naturally played a significant role in the development and eventual conquest of the region. This might seem like the sort of thing you could do anywhere, and it’s certainly an option at a lot of coastal destinations around the world. 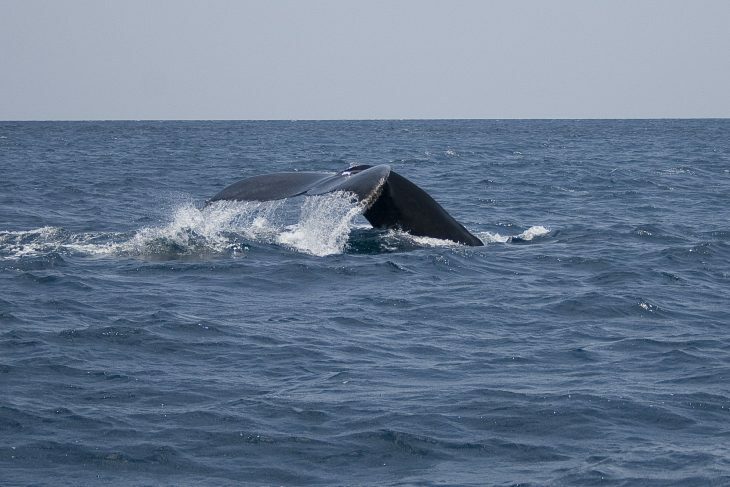 But as one news site pointed out, Costa Rica actually has the longest season of humpback whales in the world. This is because of its unique position on the globe. The country is positioned such that whales migrate there from both the north and the south during the colder months of the year. A boat from Marino Ballena National Park is the way to go if you want to catch a glimpse of these glorious aquatic beasts in the wild. Switzerland is a country that offers magnificent views, delightful experiences and is considered as the most beautiful country in Europe. There are plenty of reasons to go to Switzerland, the breathtaking views, the taste of Swiss chocolate, endless selection of cheese, scenic beauty of the alps are all inviting! People usually skip over this country, due to the fact that Switzerland has been rated as the most expensive country in the world. They wait until they are older and hopefully wealthier. Travelers can’t think of visiting Switzerland by only spending a few dollars a day, but it’s also surprising to know that it’s possible on a relatively light budget. It’s hard but not impossible. Estimate your budget while planning your trips in advance. It’s not advisable to rent a car. A rail pass will help you save money, so plan to travel by train, boat, bus or cable cars. Traveling is free in some cases even without a rail pass. 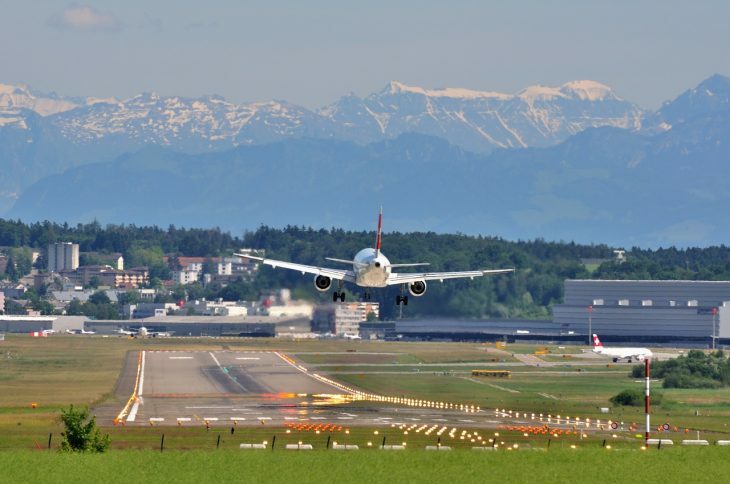 If you book a hotel in Bern, Geneva, St. Moritz, access to local public transport free. If you book an airport hotel, free rides to the airport are often included and it would help in balancing the budget. Accommodation can be quite expensive in Switzerland but there are a few economical options. Collect a few hotel points before deciding your travel budget and utilize them while you stay in the country. In the rural areas, you can find some campsites which are really reasonable. There is an increase in the market for youth hostels in recent years, these having excellent decors. The Museum of History of Science in Geneva and the Omega Museum in Biel are some of the museum that does not have any entry fee. To visit museums and other attractions in Switzerland use your Swiss Pass which gives a free entry. Swiss water is safe to drink and you can save by choosing tap water in place of expensive drinks at the cafes and restaurants. In place of dine- in you can opt to preparing lunch by buying some bread rolls, cereal bars or other preferred foods that are easy to take along. Also, it’s a bonus for vegetarians as meat is expensive in Switzerland, so prefer sticking to the veggies. For eating out, prefer to go during the lunch hours as lunch specials are cheaper and cost around 10- 19 CHF. For the best deals and biggest portions stick to the ethnic restaurants like Chinese, Middle Eastern, Indian, or Thai. Also, if you want to have a drink, stick to hostel bars. It’s costly to have a drink outside. There is no doubt that Switzerland is an expensive country. At the price point of $75 USD, you’d have enough money to do the basics, stay in some hostels, go out, and enjoy some adventure and outdoor activities. It would limit your ability to really enjoy what Switzerland has to offer if you anything lower than this price point. Maldives, an islandic nation in Indian Ocean, is a perfect place for couples and tourists looking for a luxury island vacation. With its 1000 plus islands and 26 reef ringed atolls, Maldives lays beautiful with its pristine beaches, crystal clear water and luxurious bungalows – from where guests can enjoy the colorful sea-life through the glass floors, or even jump into the see from their private deck. 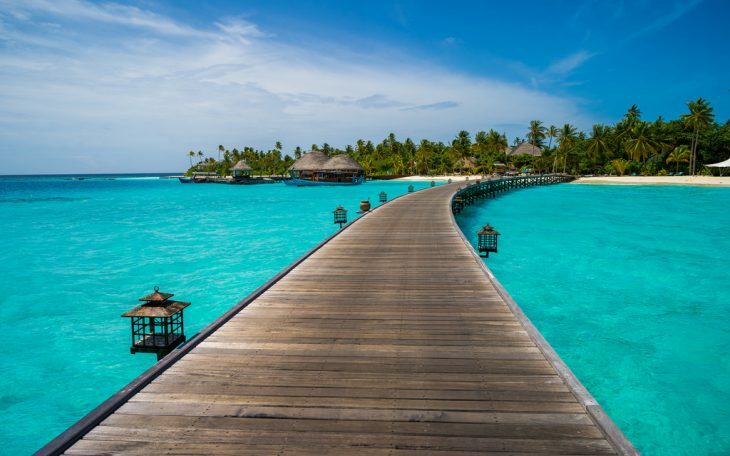 Maldives has everything and more one could ask from a tropical island, and here are the top five places where you must visit when you go on a Maldives Holiday. This should be the obvious suggestion of the list, as Malé is the largest and the capital city of Maldives, and this where most of the tourist spots are. Although it is a little bit crowded than the other local islands, still it’s a great place to meet other people, enjoy various luxuries and lavishness Maldives has to offer and all in all have a great time. 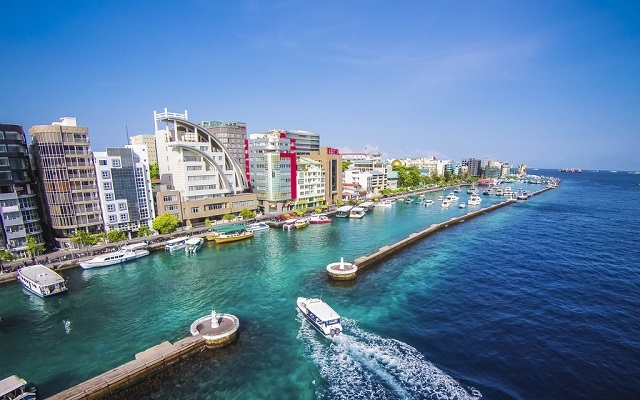 A visit to Maldives cannot be complete without a trip to the capital city, and you should also check out major landmarks like The Grand Friday Mosque, Malé’s National Museum, Tsunami Monument etc. while you are here. With its over one thousand coral islands, Maldives is blessed with some the most beautiful coral reefs in the world. The beautiful HP Reef is situated at the North Malé atoll, and it is one of the most popular tourist attractions in Maldives. It is one of the most beautiful diving sites where you can experience amazingly colorful corals and marine life under water. Located at the Vaavu Atoll on the eastern side of the Maldives, the Alimatha Island is a perfect place for family vacations as well as honeymooners. The island offers a plethora of activities like diving, snorkeling and boating. Take a massage at Ayurvedic massage centre or spend a relaxing day at the numerous spas, bars and restaurants present on the island. 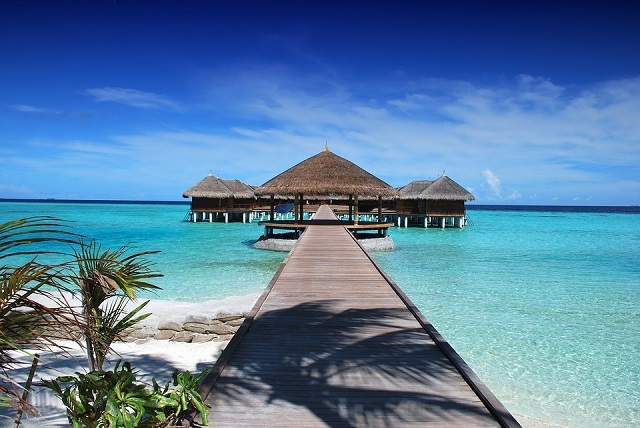 If you are travelling to Maldives with your family, then this might just be the best spot for you to visit. Nalaguraidhoo Island, popularly known as the Sun Island is famous for the serene beauty and tranquility this place has in store for you to experience. The stunning lagoons, charming blue waters and beautiful tropical flowers escalates the beauty of this island to an almost transcendental level. This island houses the Sun Island Resort, which is probably the most popular and most iconic resort in all of Maldives. Offering a truly unique island living experience, the Sun Island is the perfect spot for honeymooners and romantic couples. 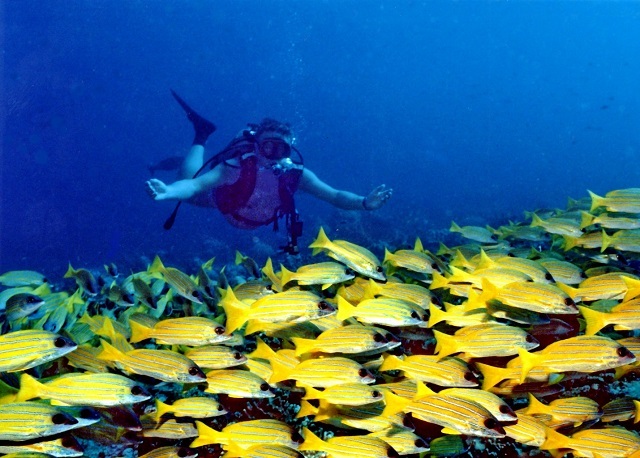 The most sought out diving site in all of Maldives is the Banana Reef, located at the North Malé atoll. This banana shaped, 300 meter long coral reef is one of the best diving sites in all of the world. It was one of the first spots in Maldives to be recognised for licensed diving and training. 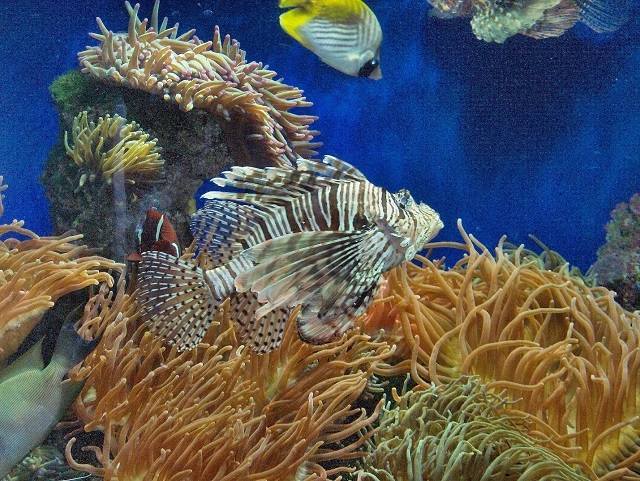 This reef is rich with its colorful corals, amazing caves and cliffs, and especially its exuberant marine life. From Napoleon Wrasse to Moray Eels to the rare Bannerfish – the sheer number of different types and sizes and colors of aquatic life that you can experience here truly makes this dive a memorable one. With all its beautiful lagoons, colorful marine life, crystal clear water and luxurious resorts, Maldives it waiting for you to explore the serene beauty it has to offer. So the next time you are planning a vacation, give this beautiful tropical islandic nation a chance. You can be sure to have a truly unique, exquisite and memorable island living experience.